Elk River, Minn. March 22, 2017 – It has been an incredible ride. For more than 20 years, the Carlson Moto family has spent their winters at snocross tracks across North America. 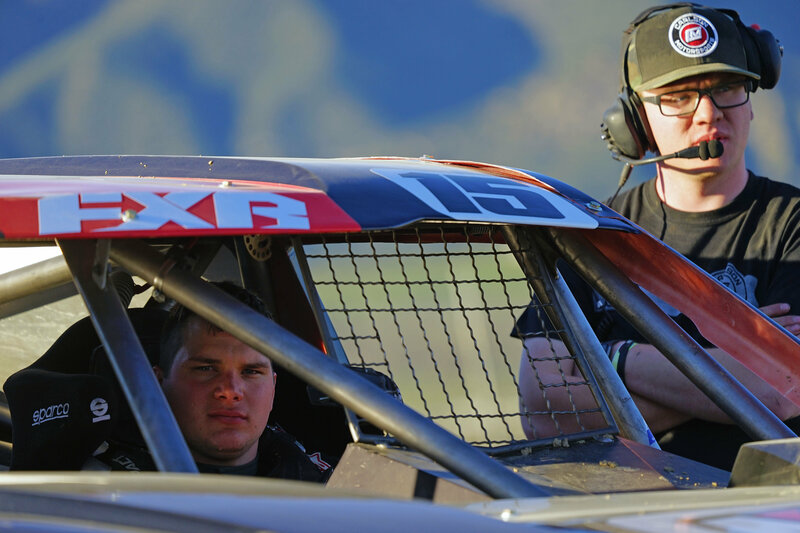 Now Chris Carlson, son and Pro-Open rider Andrew, and the Carlson Moto organization are saying a heartfelt goodbye as they look to focus their future efforts on The Off-Road Championship (TORC) truck racing series. Family and racing have always been a close partnership for Chris and his wife, Deb. Both their daughter Taylor and son Andrew grew up racing with their father at regional snocross tracks from the time they were barely old enough to walk. Both progressed to eventually race at the national level. As they did, so too did Carlson Moto, mirroring a belief Chris has followed in all his endeavors - full commitment, maximum effort, and professionalism at every turn. So many weekends filled with so many memories made this past weekend’s announcement of Andrew Carlson’s retirement from professional snocross, and subsequently the Carlson Moto team's decision to part ways with the national snocross tour, a difficult one. Turns out the snocross community felt the same way about Chris Carlson, as the International Series of Champions (ISOC) honored him during the year-end banquet as the recipient of the CJ Ramstad Ambassador award. The award recognizes Chris for his unrelenting passion and involvement in the sport and his efforts to support and grow the sport through his team and ERX Motor Park. 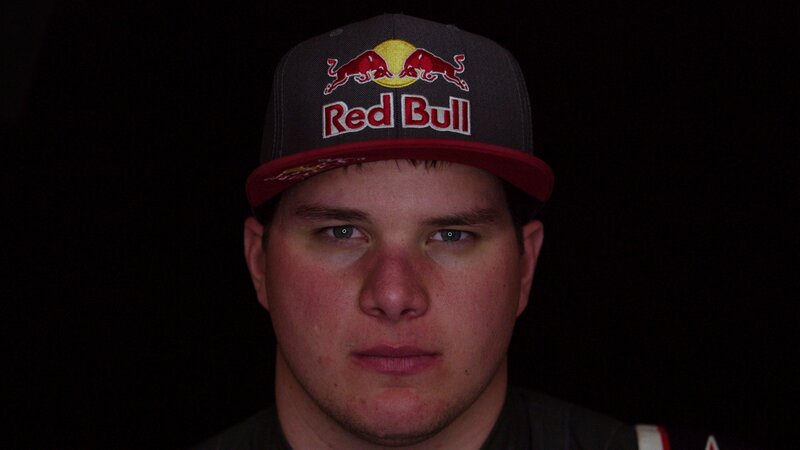 While Andrew is walking away from professional snocross racing, he’s not finished with snowmobile racing. Next season he plans to race in select cross-country terrain events sanctioned by the sport’s premiere national tour, the United States X-Country (USXC) Series. Not surprisingly, Chris Carlson and ERX co-owner Todd Plaisted are in discussions with USXC President Brian Nelson about bringing a cross-country event to ERX next winter. Not to be forgotten is the other Pro-Open rider in the Carlson Moto hauler, Ryan Springer, who will look to continue his promising professional snocross career with another Polaris team next winter. Ryan capped off his season with a pair of top-five finishes at Lake Geneva, positioning himself amongst the fastest in the sport. As for the future of Carlson Moto, the team is already shifting gears and preparing for their third season of racing in The Off-Road Championship (TORC) truck racing series. Last summer, Andrew earned his first Pro-Lite win while competing at his hometown ERX track in Elk River, Minnesota. Now with an even more determined focus and commitment, Andrew and the Carlson Moto team are looking for more TORC podiums this summer. Elk River, Minn. March 8, 2017— A new venue at Sundown Mountain in Dubuque, Iowa welcomed the AMSOIL Championship Snocross Series for rounds 13 and 14. The steep terrain on the picturesque ski hill made it immediately clear that it was going to be a challenging racetrack for all. Elk River, Minn. Feb. 28, 2017— The AMSOIL Championship Snocross Series returned to Soaring Eagle Resort & Casino in Mt. Pleasant, MI. for another weekend of racing in challenging conditions. Many questioned if the race would still be held due to unseasonably warm weather throughout the Midwest. The show did go on despite thunderstorms with heavy rain and ankle-deep mud in the pits. The track took a beating from the rain and proved to be brutal for riders. Despite the conditions, Carlson Moto riders Andrew Carlson and Ryan Springer both had solid heat runs throughout the weekend. Springer was in a solid top-five spot during the final on Friday night, only to be completely run-over by an over-zealous competitor. Carlson avoided conflicts and recorded a solid seventh place finish on Friday night – his best finish in the Pro Open ranks. On Saturday, Springer battled with the class front-runners through the entirety of the main and ended up with a respectable sixth place finish. Carlson was right on Springer’s tail for the first half of the race before enduring a tough off. He emerged unhurt, but his chances for a solid finish were eliminated. Overall, a solid effort was shown from both riders, with some tough luck sprinkled in just to make things a tad more challenging – as if it’s not tough enough in Pro Open Snocross. Carlson Moto’s development rider, Taylor Cole, had another solid weekend in the Sport Lite class, taking home a huge win on Saturday – his first victory in the class. The team will race closer to home next weekend at a new stop on the series in Dubuque, Iowa (at Sundown Mountain Resort). You can find details on the entire snocross season including schedule, live streaming information, and rebroadcasts of each round on the CBS Sports network at snocross.com. Learn more about Carlson Moto team members at CarlsonMoto.com and follow them on Facebook,Twitter, and Instagram. Elk River, Minn. February 8, 2017 – Consistency is perhaps the most elusive component facing competitors on the International Series of Champions (ISOC) AMSOIL Championship Snocross tour. Yet the Carlson Moto Pro-Open tandem of Andrew Carlson and Ryan Springer proved to have the right combination of skill, set-up and stamina for consistent performances in Salamanca, New York this past weekend. Elk River, Minn. Jan. 25, 2017– Carlson Moto returned to the wild west of Deadwood, SD for rounds seven and eight of theAMSOIL Championship Snocross Series for another weekend of exciting racing in front of a sold-out crowd at Deadwood’s Days of 76 Stadium. Race fans were treated to some of the best bar-to-bar racing action of the season at a venue that has quickly become a favorite for fans and racers alike. Elk River, Minn. Jan. 10, 2017– Racing returned to the AMSOIL Championship Snocross Series at Canterbury Park this past weekend, close to home for the Carlson Moto team in Shakopee, Minn. Both Carlson Moto riders, Andrew Carlson and Ryan Springer, showed improvement throughout the weekend. Springer pulled a huge holeshot Friday night and led the Pro Open main event for eight laps before an onslaught of nerves and rookie mistakes led to a paralyzing case of arm-pump. Springer was able to hold on to earn a sixth place finish, his best effort of the season so far. In his eight-lap sprint, Springer set the fastest lap time of the weekend, which served as a firm reminder that he’s got the speed to run up front. Extreme weather a big factor for rounds 3 & 4. Elk River, Minn. Dec. 19, 2016 – Heavy snow, bitter cold temps and strong winds welcomed the AMSOIL Championship Snocross tour to a new venue in Winter Park, CO for rounds three and four of the series. The weather played a big factor throughout the weekend with Friday’s races being temporary delayed due to the blizzard conditions. With some of the gnarliest snow dust Carlson Moto riders Andrew Carlson and Ryan Springer had ever encountered, visibility became a major challenge. Couple that with numb fingers, assorted patches of frostbite, some sled challenges, two banged-up riders and a partridge in a pear tree—and you’ve got just a glimpse into the weekend Team CM had in Colorado last weekend. Carlson and Springer struggled with bad starting line picks and some tough luck on the track on Friday, which sent them both to the LCQ. Carlson took a nasty hit to the ribs in the first round of qualifying which left him less than 100% for the remainder of the weekend. Both Carlson and Springer earned spots in the main through the LCQ, which placed them in the back row for the final. Heavy snow dust throughout the main made it nearly impossible to advance positions, and both riders had to settle for spots outside of the top-10. Saturday started with Carlson and Springer each laying down some quick lap times in practice, but as the qualifying rounds commenced, their luck quickly changed. Springer pulled a monster holeshot on his sneaky-fast Polaris 600 in round one, only to experience a freak mechanical issue on the uphill while leading the pack. As he attempted to exit the track he was hit from behind by another driver. Springer suffered a a leg injury in the accident which kept him on the sidelines for the remainder of the day. Springer and Carlson are recovering and will both be ready for action for rounds five and six. The team is looking forward to some time to recover as well as continued testing and tuning at ERX Motor Park over the next couple of weeks as they celebrate the Christmas holiday. They will regroup for the first race of the new year close to home at Canterbury Park in Shakopee, MN, January 6-7. You can find details on the entire Snocross season including schedule, live streaming information, and rebroadcasts of each round on the CBS Sports network at snocross.com. From all of us at Carlson Moto, we’d like to wish you and your families a Merry Christmas and a Happy New Year! Carlson Moto is a family of racers, mechanics and sponsors who are proud of our accomplishments on the track and off, and are driven to excellence in everything we do. Our racing organization is driven by a deep-rooted passion for the sport and an operational philosophy grounded in integrity. To learn more about Carlson Moto and how you can partner in their success, visit us at www.carlsonmoto.com or on Facebook, Twitter, and Instagram. Performance K&N Filters will help power snocross and off-road truck racing endeavors for Carlson Moto for the 2016-2017 ISOC and TORC series. ELK RIVER, Minn. Nov. 1, 2016 – The winning combination of any professional race team is comprised of a collection of the best mechanics, drivers, equipment, and sponsors. Today, Carlson Moto added to their winning formula as they finalized partnership details with K&N Engineering. Recognized as the world’s leading manufacturer of washable performance air-filters and air intake systems, K&N will help Carlson Moto racers achieve maximum power both on snow and dirt throughout the upcoming International of Series of Champions (ISOC) national snocross series and The Off-Road Championship (TORC) off-road truck racing series next summer. K&N has built an incredible reputation within the performance industry since they first invented the high-flow cotton air filter in 1969, and they’ve been perfecting the technology ever since. Racing has and continues to be an integral component of their success. K&N’s commitment to racing is evident by their extensive and diverse relationships with some of the world’s biggest racing organizations including NASCAR, the National Hot Rod Association (NHRA), the United Sprint Car Series (USCS), as well as leading off-road truck and motorcycle racing organizations. That start is less than a month away, when the ISOC national tour kicks-off in Duluth Minnesota, November 25-27 for the 25th annual AMSOIL Duluth National Snocross. You can find details on the snocross season including schedule and Carlson Moto team members at CarlsonMoto.com. You can also follow Carlson Moto on Facebook, Twitter, and Instagram. ELK RIVER, MINN. SEPTEMBER 9, 2016 -Carlson Moto wrapped up the 2016 TORC: The Off-Road Championship season with some exciting racing Labor Day Weekend at The Big House, Crandon International Raceway in Crandon, Wis. The weekend drew record crowds, exceeding 25,000, and the racing action did not disappoint as the world’s best off-road racers converged for a season finale, Battle Royale. September 1, 2016– AMSOIL has launched two new products that provide outstanding protection for firearms. AMSOIL Firearm Cleaner and Protectant and AMSOIL Synthetic Firearm Lubricant and Protectant offers hunters, target/sport shooters and firearm professionals two exceptional products purpose-built for firearms so they remain reliable for generations. Elk River, Minn. August 22, 2016 – Much has been said in the thrilling world of motorsports racing about the emotional rollercoaster all teams inevitably experience, commonly referred to as the highs and lows of racing. To put it mildly, it's not for the faint of heart. The 2016 TORC: The Off Road Championship Series season for Andrew Carlson and the passionate Carlson Moto Crew has included visits to both ends of the emotional continuum, and this weekend's race in Charlotte was perhaps the quintessential example of this challenging dynamic.